Ms. Cohen is the Chief Human Capital Officer (CHCO) at the Nuclear Regulatory Commission (NRC). As CHCO, Ms. Cohen provides leadership and management of agency human capital planning, policy, and program development. 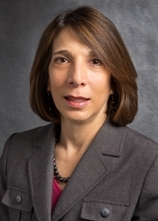 Ms. Cohen served as the Director, Program Management, Policy Development and Analysis Staff in the NRC's Office of Nuclear Security and Incident Response from 2004-2007. In this position, Ms. Cohen provided leadership and management of the office's long-range program planning, budget and financial management, human resources and information technology activities. From 2001 to 2003, Ms. Cohen served as the Director of Administration for the Bureau of Industry and Security at the U.S. Department of Commerce. From 1987 through 2000, she held a number of senior staff and management positions at the Department of Commerce where she gained considerable experience in administrative operations including information technology, human resources, budget execution and formulation, strategic planning, and performance measurement. Ms. Cohen began her federal career at the Department of Commerce as a Cooperative Education Intern at the International Trade Administration. Ms. Cohen received a Bachelor of Arts degree in Political Science and a Masters degree in Public Administration from the University of Pittsburgh.